Welcome to Chickee's Dance World! We provide a comfortable atmosphere for which the students feel at home therefore making dance more easily accessible. All of us at CDW feel it is necessary to be concerned not only with dance instruction but with the students' level of self-confidence. Dance can be one of the most rewarding activities when more attention is given to each student. We promise to provide memories that will last a lifetime along with self-confidence, respect and a love of dance! Please click on the Search button below, then choose the class. You will notice an increased registration fee which includes a non-refundable costume deposit. 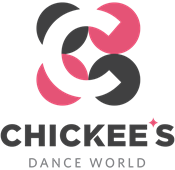 "I have enrolled myself/my child in the dance program offered by Chickee's Dance World. I recognize that the program may involve strenuous physical activity including, but not limited to, muscle strength and endurance training, cardiovascular conditioning and training, and other various dance activities. I hereby affirm that my child/myself is in good physical condition and does not suffer from any known disability or condition which would prevent or limit the participation in this dance program." "In consideration of my/my child's participation in this program I, hereby release Chickee's Dance World and its agents from any claims, demands and causes of action as a result of my voluntary participation and enrollment." "I fully understand that I/ my child may injure myself/his or herself as a result of enrollment and subsequent participation in this program and I, hereby release Chickee's Dance World and its agents from any liability now or in the future for conditions that may be obtained. These conditions may include, but are not limited to, heart attacks, muscle strains, muscle pulls, muscle tears, broken bones, shin splints, heat prostration, injuries to knees, injuries to back, injuries to foot or any other illness or soreness that I may incur, including death. ".